The Hunger Games . Why? Because everyone is (just about done) talking about it. Even Stephanie and Amy. "I think I could just make one statement about this book and leave it at that, and my feelings about it would have been vented. That one statement is WOW. " That pretty much sold me. (And then she went on to read the other books in the trilogy so I'm interested. I picked up a used copy and figured I'd give it a go and see what I thought! 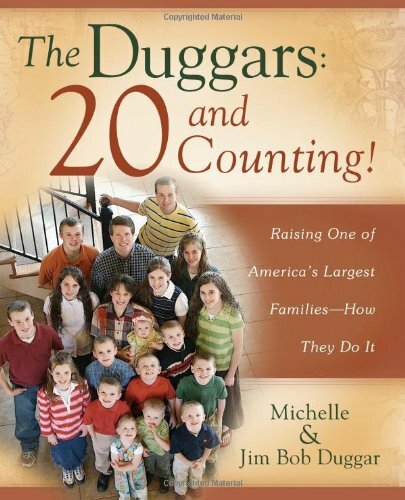 The Duggars: 20 and Counting! Why? Because I like the Duggars. A lot. I spent my whole bed-ridden first trimester watching episode after episode of their tv show - in part to encourage myself in the knowledge that children are a blessing! Jonathan gifted me with this book for Christmas. I've been saving it to read during my third trimester to remind me that even though I can't breathe because someone is squishing my lungs, they are indeed a blessing. Think , by John Piper. Why? Because I still like the title and the sound of it. It's been on my "Nightstand" for far too long and so I've pulled it from the shelf and added it to me, "You WILL read this in February" stack. May it be so! 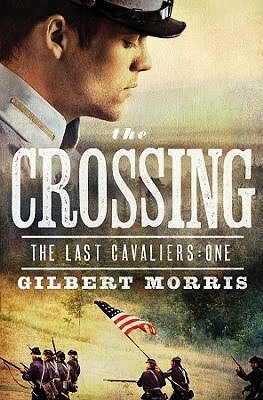 The Crossing , the latest upcoming release by Gilbert Morris. Why? Well. I've never read a Gilbert Morris book before. Ever. I saw that Barbour Books was publishing a new book in what is to be a new series by him and I thought now was as good a time as any to check him out. So they kindly sent me a copy of the book and I plan on reading it and deciding what I think of Morris. Of course, I'll share my opinion here as well. (Least you doubt it!) We'll see! Those, my friends, are some of the books on my nightstand for this month. I have thoroughly enjoyed reading Lucy Maud Montgomery books during January and I'm excited to see what February reads will bring. I am getting better about estimating what reading time I have available these days and what I set aside to read in January was accomplished. We'll see if I've figured correctly for February. Stay tuned! Sounds like you got a good dose of Lucy Maud. And no better excuse for lying around reading than being pregnant I say. I hope you don't get too influenced by the Duggars, but I bet they have developed some great organizational skills. Happy reading in February. 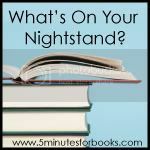 My Nightstand post is now up. Pooh, I hope you like Hunger Games--I'll feel responsible if you don't! ;-). I used to read Gilbert Morris all the time. I kept up with the House of Winslow series for probably ten years until I just grew tired of it. I'll look forward to your review I'd this new book! Should read "of this new book"--typing on the iPod again! Never read Hunger Games...though I am also amazed at the reviews. Never heard of Gilbert Morris. Look forward to that review, too! I hadn't participated since October either! Good to be back, isn't it?? Of course I'm awaiting your thoughts on Hunger Games. My dad is on the third right now. . . . 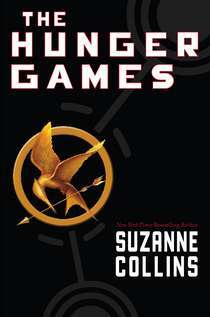 I keep hearing about Hunger Games...guess I'm going to have to break down and read it! I'd love to read the Duggars book also...I enjoy their show! I think you'll like Think...I just finished writing my review yesterday. It'll be posted on my blog in the next day or two. And I'll be curious what you think of Gilbert Morris. I always hear good things but have never read him either. Great list!! That Gilbert Morris book looks awfully intriguing and of course I adored The Hunger Games like everyone else. :) I've really enjoyed my time spent reading L.M. Montgomery this month, almost sad the challenge is ending soon, though it is high time I started attending to the rest of my TBR pile! Yikes! Since October? Glad to have you back, Carrie. I always enjoy your nightstands. I still haven’t made it around to The Hunger Games either, but I need to—for the same reasons you mention. Ha. Oh, and “Think” is definitely one I want to read! I don’t even have it yet…maybe I’ll order it this week (like I need any more books!). We have The Hunger Games trilogy...gave it to my girl for Christmas. They read the first one in class, and she couldn't stop talking about it (she's not a reader like me...so I made sure I grabbed up any books I thought she might read!) They will be some of my "extra" books in the coming months. I haven't read Think, either...but I want to. I'm interested to hear your thoughts. And I've never heard of Gilbert Morris, either. But it looks like an interesting book. I haven't had a chance to read Think yet, but it's on my TBR list. The Duggar's book looks really interesting. I don't really know what to make of that family! I haven't read The Hunger Games either, but I finally requested it from the library since everyone else seems to have read it. I'm curious, but I'm not exactly excited about it. It all looks good. I used to read Morris but after 800 books in the Winslow series I petered out. I still liked his books though! It is time to read the Hunger Games - although you are going from one extreme to the other from LMM to there! Don't get whiplash. Can't wait to hear what you think of The Hunger Games! I just read today that they've also set a release date for the movie- 3/23/12! I haven't read the Hunger Games. Now that you are reading it, I'll be the only one left. I LOVE the Duggars. I got the first two seasons on DVD for Christmas. We will never have 19 kids, but I admire them so much. I aspire to be more like Michelle! I think you will like the book. Looks like a pretty wide range of books. I used to only read fiction but have started reading a lot more non-fiction over the past few years. Good luck over the next month! Also curious re: your review of Gilbert Morris. I read a lot of his in the 90s as a teenager. I think of them now as potato chip novels. Perhaps he's improved, or maybe they are just that. Something that's good to read when you need light moral fiction. I haven't read a Gilbert Morris book in ages! The Crossing looks an interesting read. Can't believe I missed this post!! How exciting you get to read Hunger Games! I really enjoyed it, although the characterization and such got weak towards the end, imo. First make sure you are familiar with Shirley Jackson's "The Lottery" and "The Most Dangerous Game" by Connell and Lois Lowry's "The Giver." I found The Hunger Games to be an interesting combination of those classics. :) Jealous you get to read them for the first time. Don't know that they are THE GREATEST, but very fun. Enjoyed The Dugger book myself. Doesn't have as much advice as I expected, which I guess is okay (good? ), but I especially appreciated the humility throughout the book. I don't have a lot of patience with people thinking they are somehow holier than others b/c they have "lots" of kids, and I don't get that yucky tone from them. 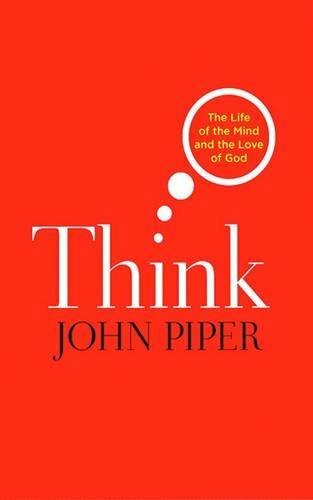 Lots of humility, lots of "what God has done in our lives", really just a fun read IMO. Looking forward to the reviews, and haven't read the others. I may have to join in and read them with you!!! These made up at least 2 complete shelves of the perhaps 16 - 20 shelves that our small church library had when I was in high school! I did actually read most of them, but I got to a point where the plots seemed to be repeating themselves... so I quit. But seeing as how you've never read one that won't be a problem! And I think that particular series (yes, it was a series following a family line for about 20 books) was also co-written so this may be different entirely!